This year’s Med-Tech Innovation Expo will see 3D printing and additive manufacturing group Stratasys demonstrate how its advanced 3D printing technologies are "transforming the delivery of healthcare across the medical industry", from improved procedural outcomes and volume; to advanced fit, form, function and affordability of medical devices. 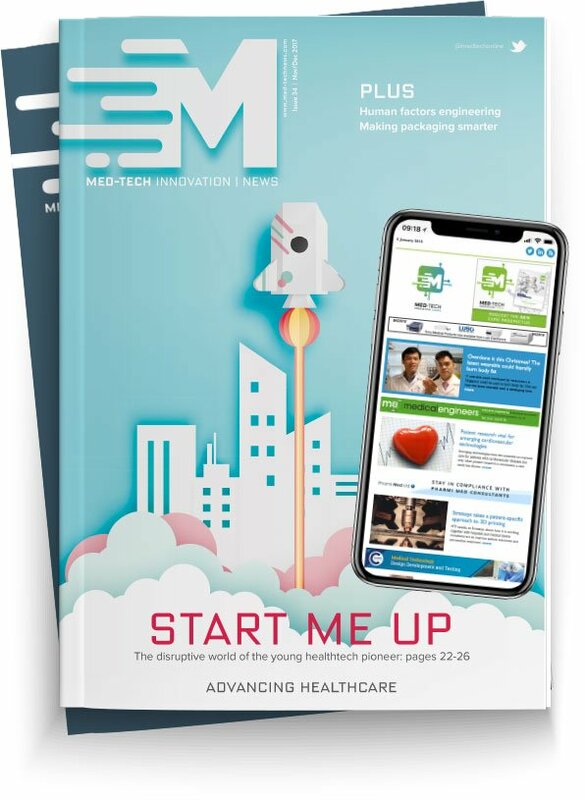 As part of Med-Tech Innovation Expo’s seminar sessions, Rene Martin, Business Manager Healthcare EMEA, will deliver an insightful presentation entitled ‘Improving Delivery of Healthcare – Stratasys Healthcare Solutions’, which will illustrate how 3D printing is enhancing medical device design and production. Martin will explain how Stratasys 3D printing enables medical device manufacturers to reduce time-to-market, lower costs, and create patient-specific devices which cannot be manufactured via traditional methods. LaserLines (Hall Ericsson 1, stand 60a) and TriTech UK (Hall Ericsson 1, Stand 100), both Stratasys Platinum Partners, will showcase a diverse range of Stratasys 3D printing solutions on their respective stands. Visitors will learn how, in an industry as time-critical as healthcare, physicians and hospitals are constantly searching for innovative ways to enhance patient care and improve cost-and-time efficiencies. This includes everything from 3D printed surgical planning guides and customised prosthetics, through to the rapid production of precise medical devices accelerating their time-to-market. LaserLines will also showcase for the very first time at a UK trade-show the Stratasys F370 3D Printer on its stand. Offering users shorter printing times and optimised design processes, Stratasys offers the F370 offers medical device manufacturers the chance to rapidly produce cost-effective prototypes – whether it be for concept verification, design validation or functional testing.